Show off a unique twist on a regular plaid shirt with Dickies Girl Juniors’ Check Swirl Plaid Shirt. It’s business in the front and fun in the back with the eye-catching checkered swirl compete with Dickies in the center. This optical illusion inspired shirt is made of 100% cotton for a comfortable fit all day. 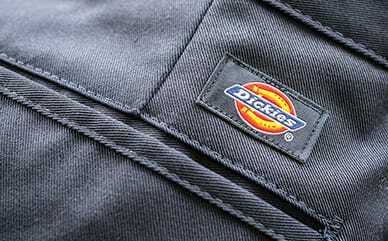 Flapped pockets also give you enough space to store your favorite necessities.